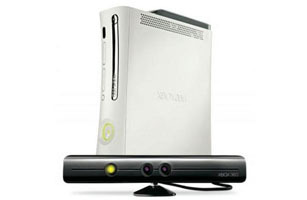 Before it is anything else, Kinect is an astonishing piece of engineering: a sensor that tracks your body movements and your voice, so that you can play games on your Xbox 360 without using a game controller. It's weirdly immersive: you almost feel like you're in the space of the game, interacting directly with virtual objects. It's great for party games, like Dance Central, developed by the same people who did Rock Band, where you bust moves head to head along with a library of hits. If you know any Xbox gamers with Wii envy, this is what to get them.